MCX CEO Dekkers Davidson has outlined more of the consortium’s plans for its CurrentC mobile wallet in a keynote presentation at the Money2020 event in Las Vegas, confirming that banks will be able to add open loop payment cards to the service when it goes live in 2015. Digital receipts, coupons, pay at table and pay at pump services will all be included in the wallet at launch, Davidson revealed, and the commercial version of CurrentC won’t require a driver’s license to sign up to use the service — a requirement of the current version of the app undergoing testing. CurrentC will also include a privacy dashboard that lets users opt out of marketing and remain anonymous in the network, he added. The app is now undergoing testing by employees of merchant members in “many cities”, Davidson revealed, noting that a third of discretionary spending occurs at merchants that are already a part of MCX. 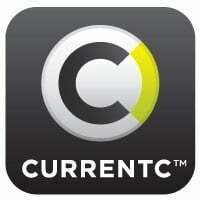 Partner banks will be able to embed CurrentC into their own mobile banking apps and it will also include some open loop payments at launch, he added, with customers being able to choose their payment type. CurrentC will also address the needs of the unbanked as well as the underbanked, Davidson explained, pointing out that an advantage of the service will be that there is no need for consumers to buy or have a new phone to use the service as it will work on all handsets. All personal information will be stored in the cloud with no sensitive data held on the phone, Davidson stressed.